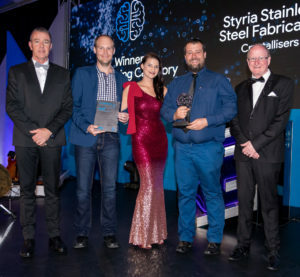 A heavyweight in stainless steel fabrication, Styria Stainless Steel Fabrication prides itself on solutions provision. This is apparent with its extremely complex fabrication of six crystalliser units for installation at Sasolburg. Each unit, at 9m high and 4m in diameter, weighs in at 22 tons. Manufactured in 304L, each unit features spiral cooling coils fitted to the dishes and the main body of the vessel, which were all required to be sealed and pressure tested. The final project installation, valued at R13 million, saw finned spiral cooling jackets on all six cylinders requiring 2500m of welding. 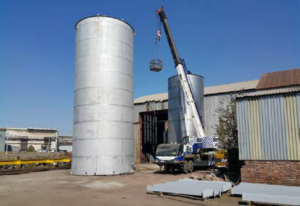 Following its client’s request for a cost saving methodology on the fabrication of ten off-tanks in varying heights and diameters originally designed to be fabricated on site, VIC brought a solution to the height challenge presented by the tanks which varied between 7m and 15m in height and their varying diameters of between 5m and 7m. 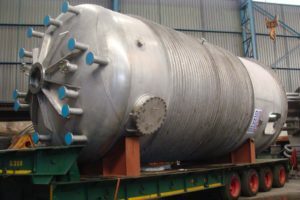 Designing, manufacturing, transporting and fitting the shop fabricated fertiliser and process tanks to their client’s plant, VIC made use of lifting and abnormal transportation to make the delivery between Vereeniging and Sasolburg; which saw two of the largest fertilising tanks fabricated from SAF 2205 standing at 12m and 15m in height with a diameter of 6m and 7m – both of which were fabricated within just six weeks. VIC also manufacture thickeners for various technology specialists. Within their separation products, VIC produced 7-off, 35m thickener Rake mechanisms (LDX 2101) for a European separation specialist based in the Democratic Republic of the Congo. 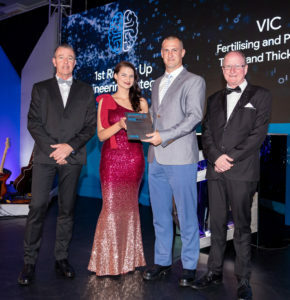 In addition, VIC fabricated 7-off 45m rake mechanisms, 7-off 45m tanks and 3 x 25m tanks for a European technology specialist. For Anderson Engineering, complex turnkey engineering solutions are challenges that this company thrives on. 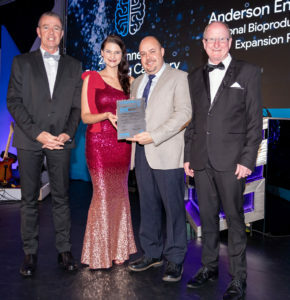 Delivering a unique engineering solution to their recent National Bioproducts Institute (NBI) project, Anderson Engineering was also obliged to meet and adhere to stringent pharmaceutical protocols and certifications necessitated by the industry. 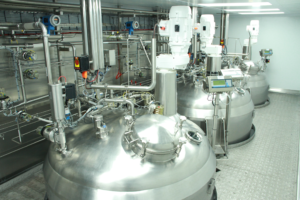 Following its extensive turnkey installation of a new fractionation plant for its client in 2012 (Phase 1), they were once again called on for assistance in the expansion of the NBI’s existing blood plasma fractionation plant (Phase 2) which involved adding three fractionation vessels and their supporting ancillary equipment to the plant whilst simultaneously balancing existing production. Anderson Engineering used 316L stainless steel and granite in the control area to achieve optimum hygiene levels and meet standards. 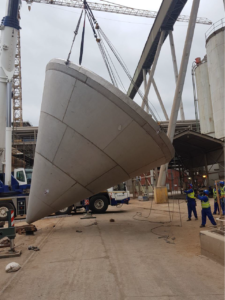 Included in the upgrading of the Sappi Ngodwana Mill in Mpumalanga, under the banner of Project Eagle, FP Engineering was involved in the design, procurement, fabrication, erection and testing of the Strong Black Liquor Tank (SBL). 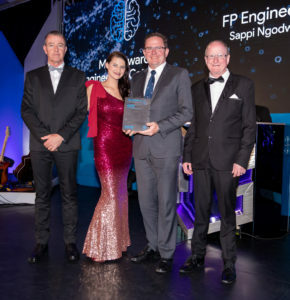 With a choice of utilising Duplex materials in their initial project submissions, FP Engineering opted to use grade ASTM A240 S32101 (LDX 2101) due to its mechanical and corrosive resistance properties for this aggressive black liquor.